In this episode of DanceCast, Silva interviews Julie Crothers, a freelance dancer and emerging choreographer in the Bay Area. After dancing with AXIS Dance Company for three years, Julie began exploring her own choreographic voice. 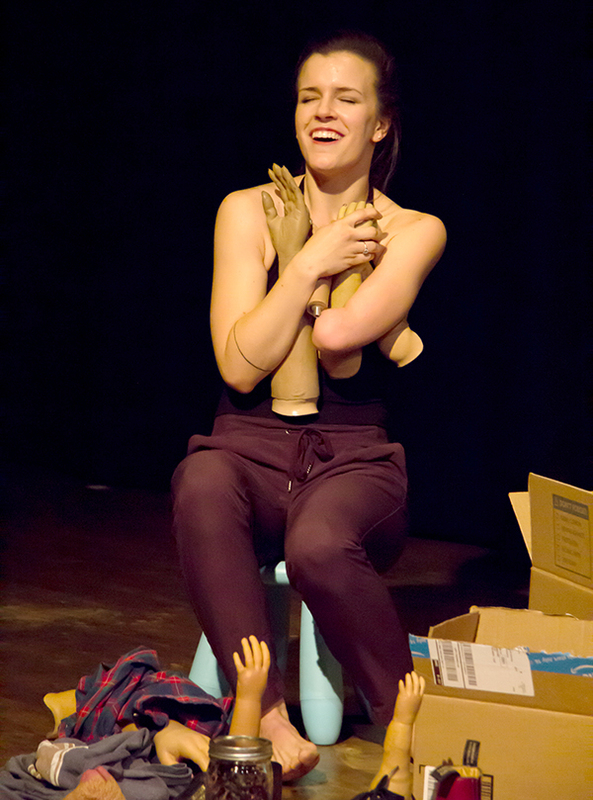 She describes the impetus of her piece Secondhand, which explores alternate uses of her collection of prosthetic arms. Julie shares stories and perspectives of what prosthesis has come to mean for her, and how she came to the decision in her early 20s to not use a prosthetic arm day-to-day. She goes on to explain how she feels able to dance more freely without filling in that space, and her growing curiosity about what her body uniquely does. Julie Crothers is a freelance dancer, choreographer and educator based in Oakland, CA. Born and raised in Nashville, TN, Julie studied dance and arts administration at Elon University in NC. She moved to the Bay Area to join AXIS Dance Company in 2014, where she worked for three years. Professionally, she has also worked with Renay Aumiller Dances (NC) and Sarah Bush Dance Project. 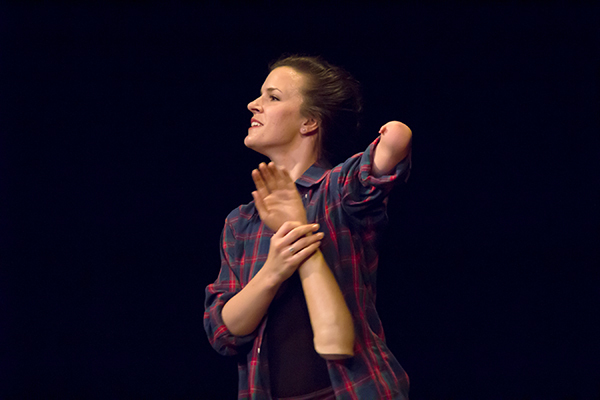 As a disabled choreographer, she is interested in discovering ways that dance can serve to break down barriers and confuse biases, fueling a community that is more empathetic and connected. In 2018, Julie was selected as Emerging Artist in Residence at Shawl-Anderson Dance Center, Summer Resident Artist at Deborah Slater Dance Theatre’s Studio 210, Feedback Artist in Joe Goode Performance Group’s Feedback Program, and was a choreographer in AXIS Dance Company’s pilot Choreo-Lab.